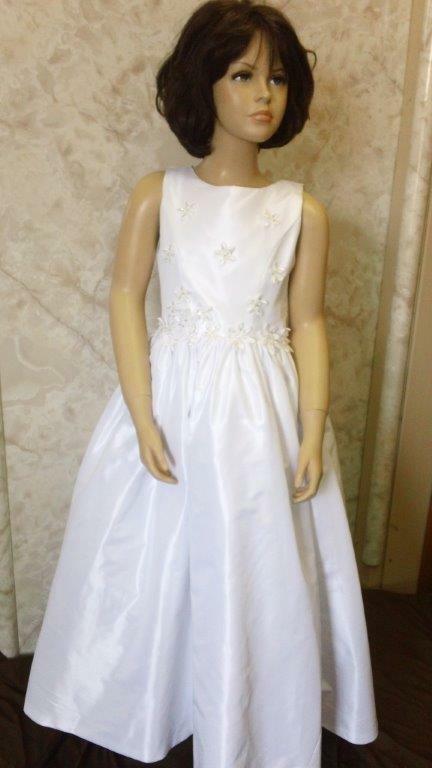 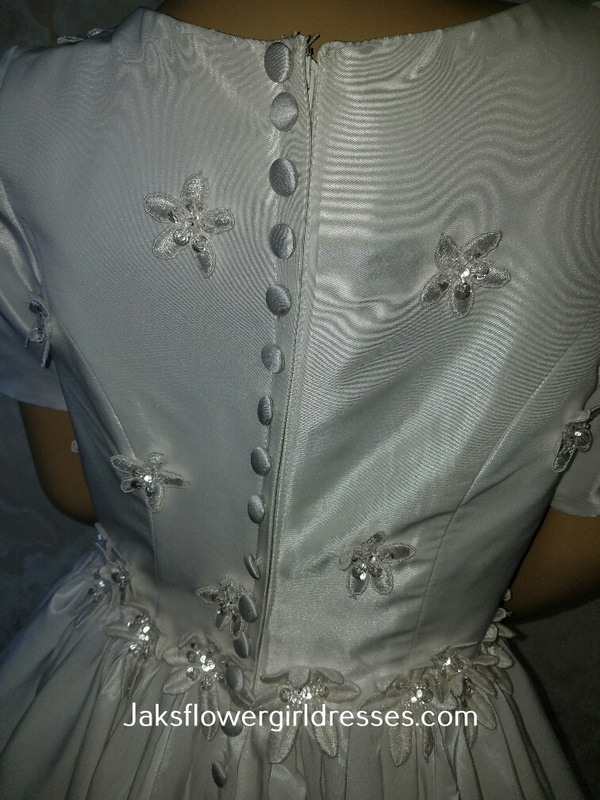 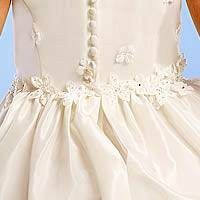 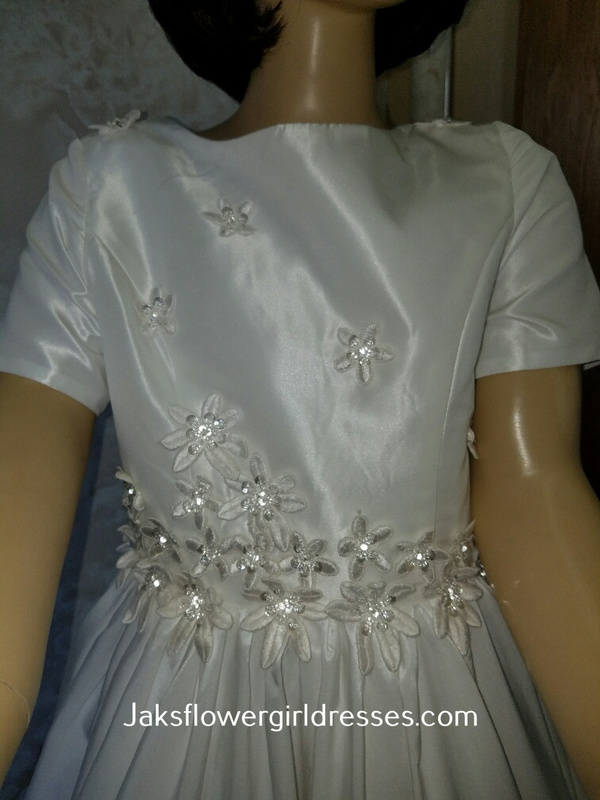 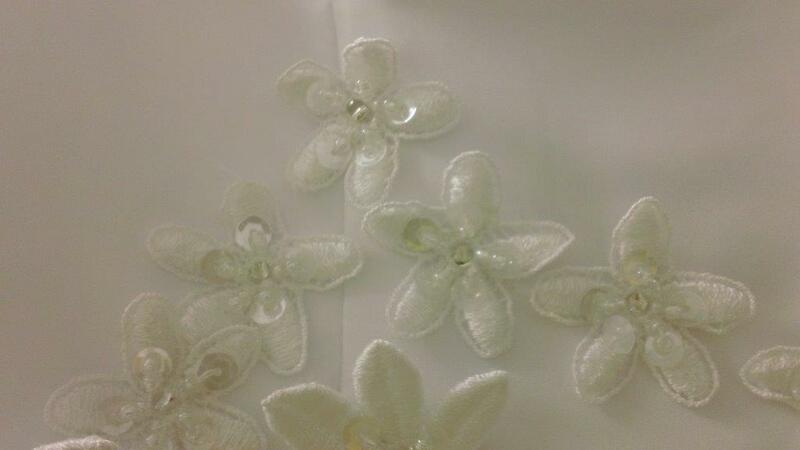 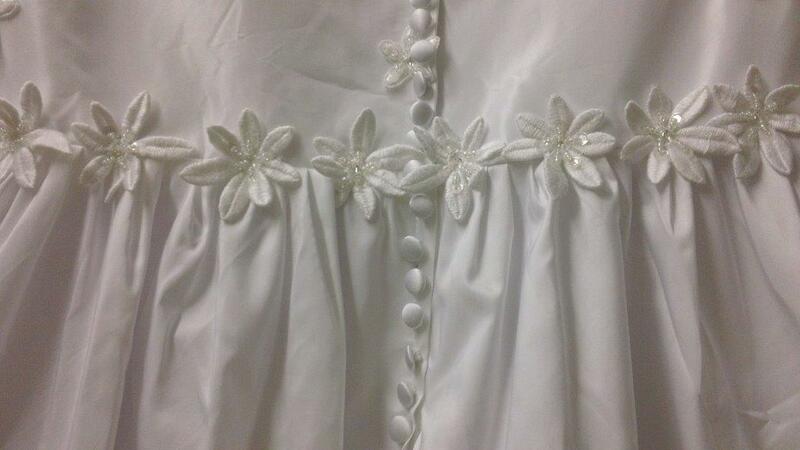 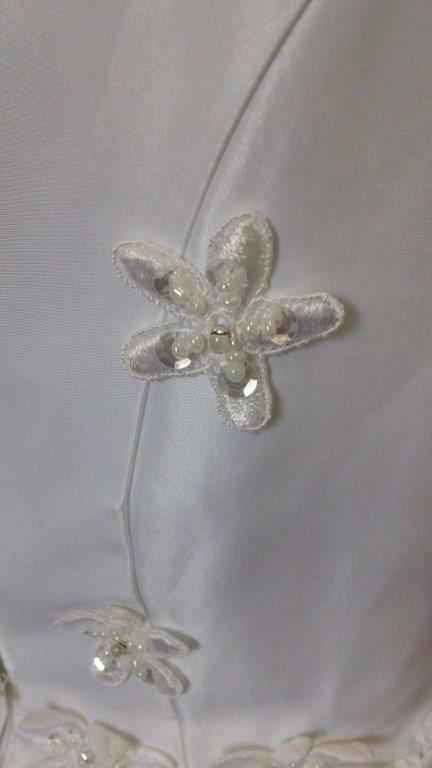 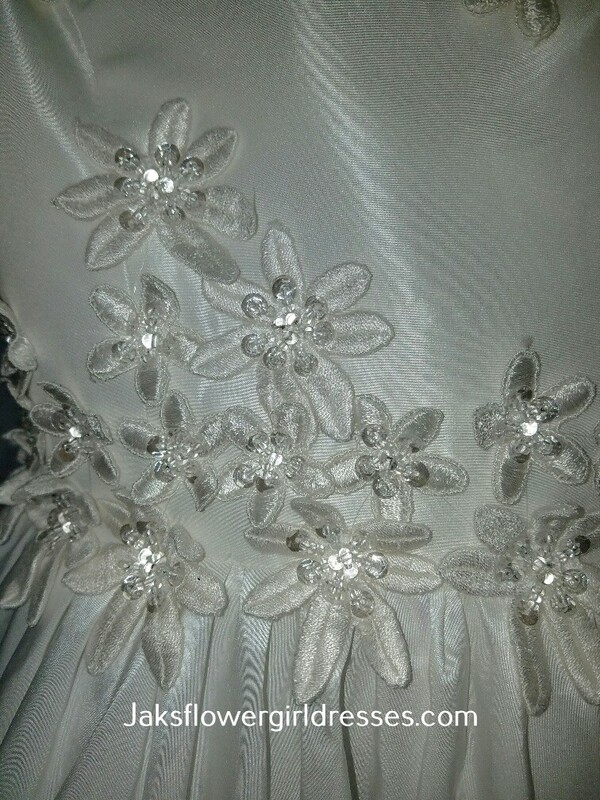 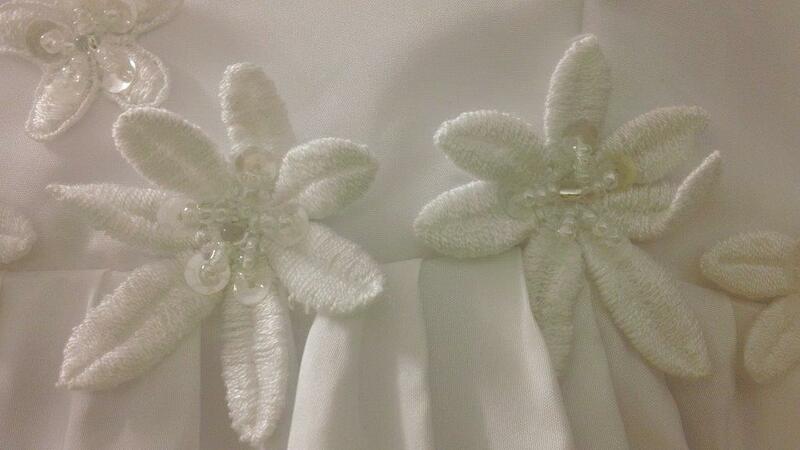 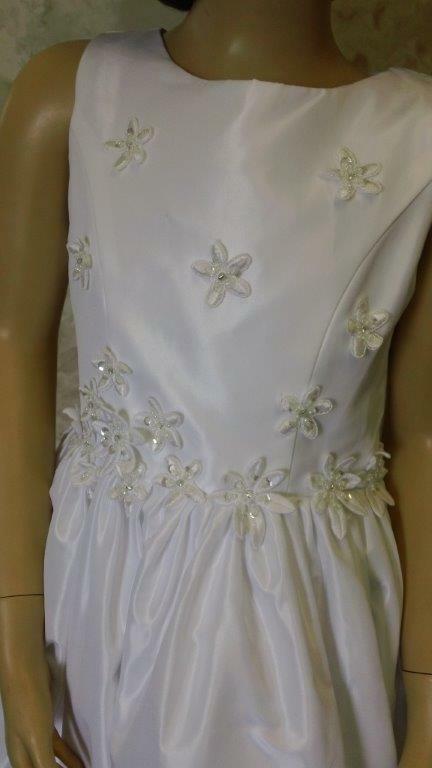 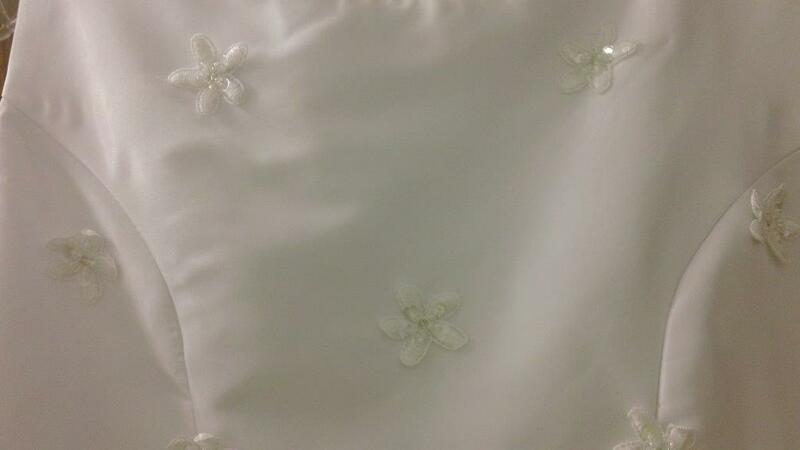 Long sleeveless applique flower girl dress. 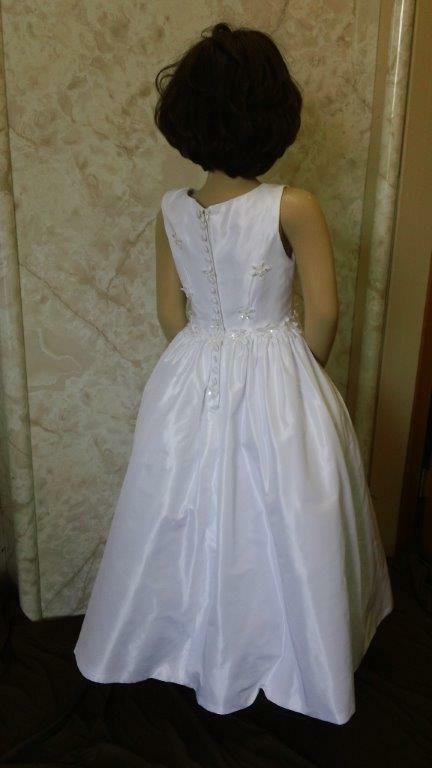 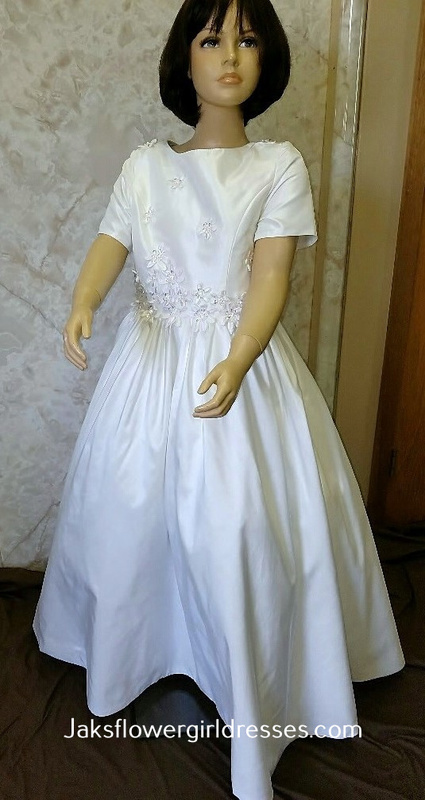 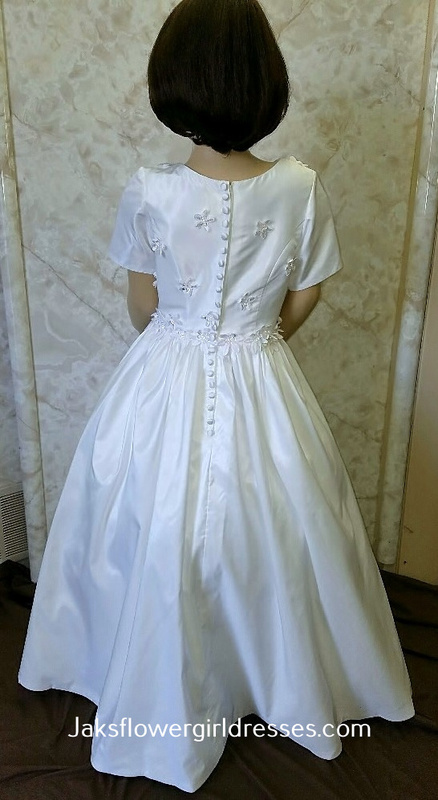 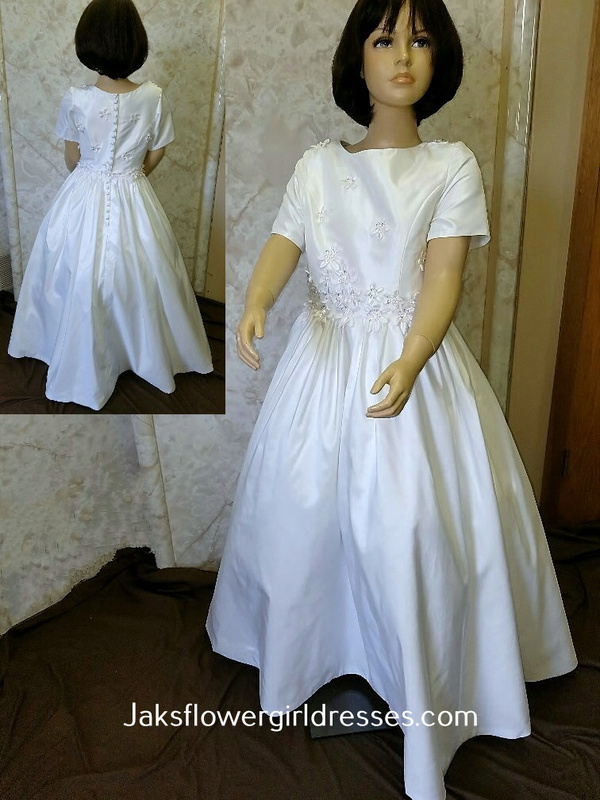 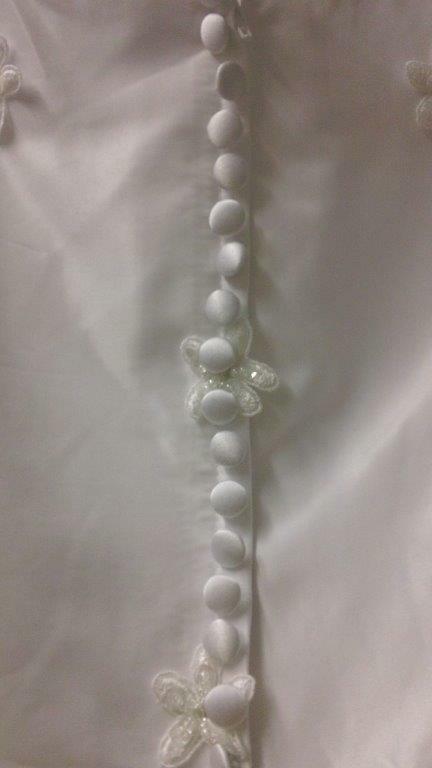 Matching dresses can be ordered in 400 colors including Ivory. 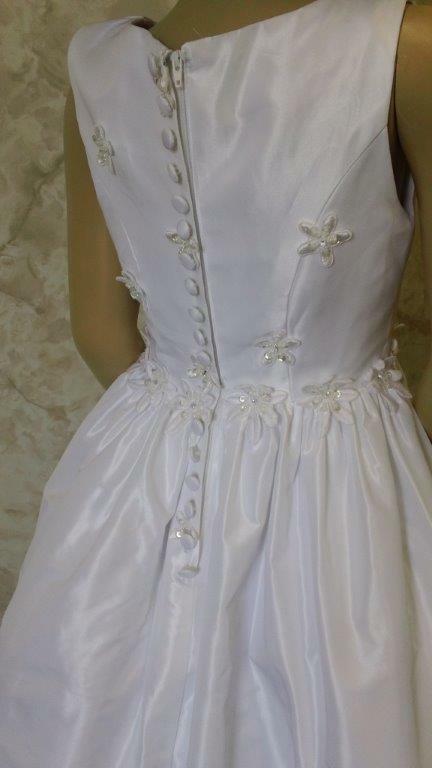 zipper back with fake buttons down it.